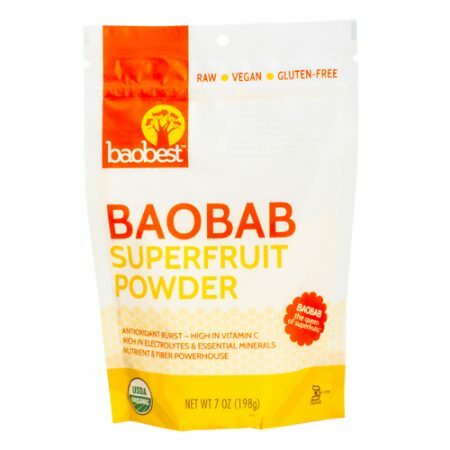 Baobab Superfruit Powder – this low-sugar, next level nutritional powder provides an antioxidant burst that is rich in electrolytes, essential minerals and fiber. 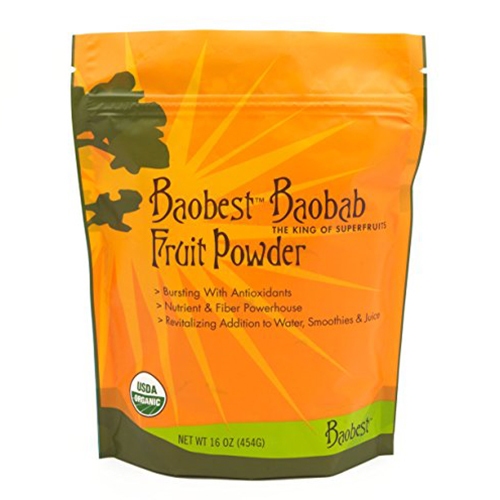 A low sugar, nutrient dense organic super fruit powder for smoothies; mix with water for a natural sports drink, add to oatmeal, baked goods or yogurt. Adds antioxidants, fiber and electrolytes. 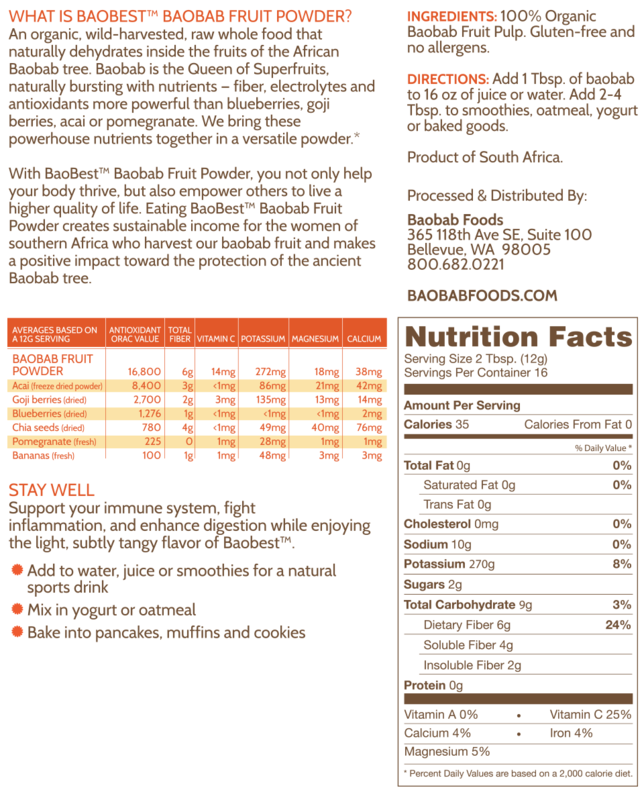 Baobab Powder – 7 oz. Bag Pomegranate BaoBites – 5.5 oz.